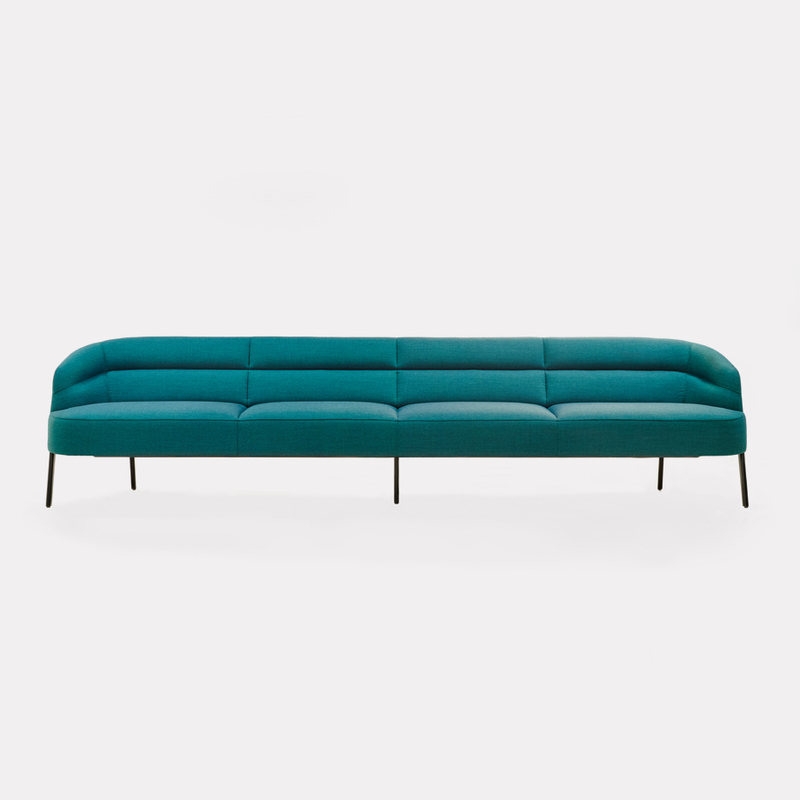 outstanding comfort, the striking lines which add stability to the upholstery, independence that permits it to shine when positioned as a stand-alone piece. A more upright backrest and higher seating position makes it the perfect bench which will add new ergonomic quality to long hours spent around the table. A bench could not be more like a sofa than this.